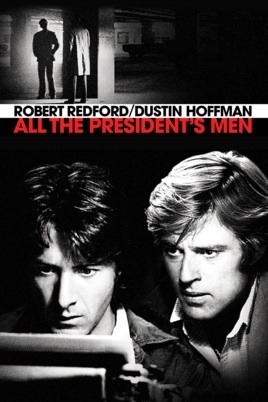 The Mendocino Film Festival and Ray Alarcon Insurance Agency present a special President’s Day Weekend screening of the 1976 Oscar Award Winning classic All the President’s Men. The film will screen at the Matheson Performing Arts Center in Mendocino on Saturday, February 16, at 6:00 pm and on Sunday, February 17, at 2:00 pm. The screenings will feature an introduction and post-film discussion with political comedian Will Durst. About Will Durst, from his website WillDurst.com: Acknowledged by peers and press alike as one of the premier political satirists in the country, Will Durst has patched together a comedy quilt of a career, weaving together columns, books, radio and television commentaries, acting, voice overs and most especially, stand up comedy, into a hilarious patchwork of outraged and outrageous common sense. His abiding motto is “You can’t make stuff up like this." Tickets are $12 and available for purchase online, by phone, or at the Mendocino Film Festival Office - 45062 Ukiah Street, Mendocino, CA 95460. The Matheson Performing Arts Center is located at 45096 Cahto St, Mendocino, CA 95460.